Inside: A child therapists top used tools for mindfulness with children that will help your child with focus, anxiety and emotional regulation. The benefits of mindfulness with kids are many (increased focus, self-control, better mood, better sleep, lower anxiety, etc etc to the MOON) but parents often wonder, how the heck do you actually do mindfulness with children? Mindfulness simply means bringing your awareness to the present moment and fully accepting it as is. This runs very counter to the way we function nowadays, chaotic and hurried, scrambling to complete our list of to-do’s or arrive at the next event on our calendar (and therefore operating out of our subconscious/emotion brain). Practicing mindfulness with children helps them engage their thinking brain (aka frontal lobe or prefrontal cortex) which is in charge of all the great skills that lead to being an emotionally stable and fully functioning human being. Yay!! 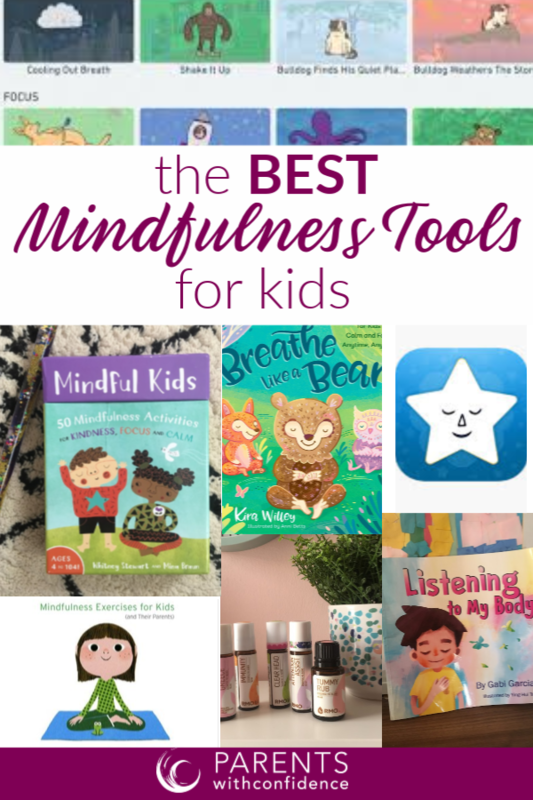 Between my therapy practice and my own noisy child-filled home I’ve tried dozens of tools, so I want to share my favorite go-to products and apps that will make doing mindfulness activities with kids a snap! Acutely. In the heat of the moment or during transitions to help calm and regulate emotions (aka morning, bedtime, during meltdowns). Preventatively. As often as possible (we aim for once a day) to help keep baseline stress down (great for kids who are prone to worries, anxiety or are highly emotional). Both ways of practicing mindfulness with children are effective for calming the bodies stress system and engaging that magnificent pre-frontal cortex where all the maturity magic happens! 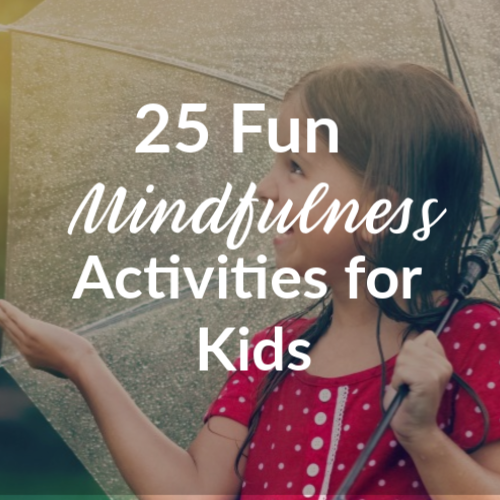 Due to the large amount of research on the positive benefits of mindfulness with kids, there are lots of great products coming out all the time! 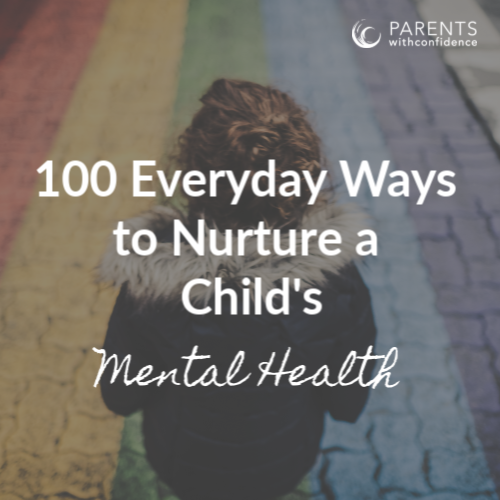 Of course, different mindfulness practices and activities will appeal to different kids, but I’d love to share the favorites in our home and in my child therapy office. 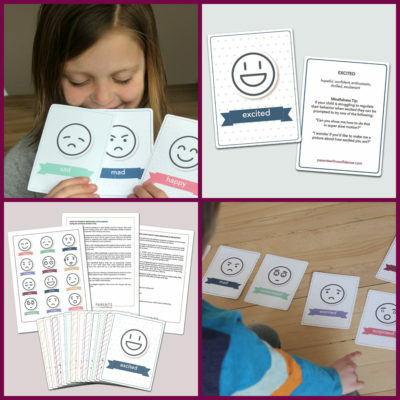 These awesome flashcards are packed with amazing mindfulness practices for kids. They include 5 categories to fit your child’s mood and situation: start your day, find calm, focus, open your heart and rest and relax. The illustrations are beautiful and highly engaging for kids and the length is perfect for most kids aged 3-12. Simple toys that are visually engaging work wonders for mindfulness with children by drawing in a child’s focused attention in a calm and relaxing way. These wands (pictured above) are beautiful and I appreciate how the glitter moves very slowly and has lots of detail to promote focus and engagement of the pre-frontal cortex. 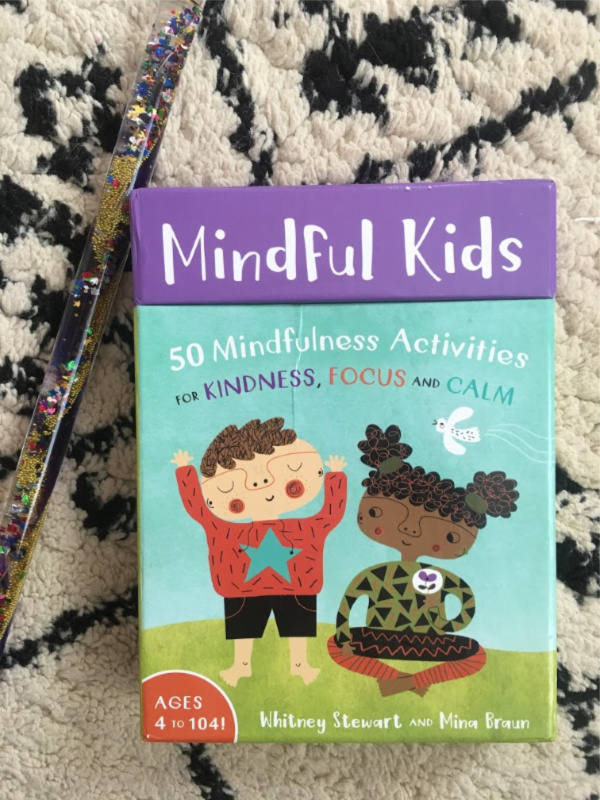 This lovely little book comes with a fantastic CD full of guided meditations, as well as basic theory around why mindfulness is so helpful for kids and tons of beautiful guided meditations. 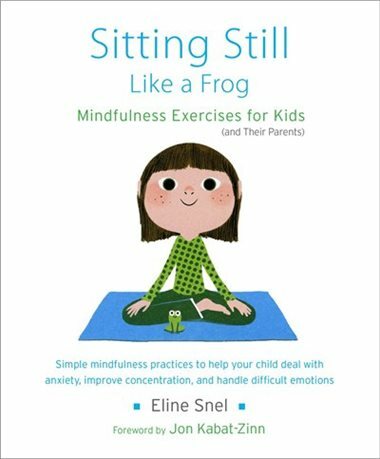 If your child loves books or you’d like to read a bit more on the philosophy and theory of mindfulness, Sitting Still Like a Frog is a great place to start! 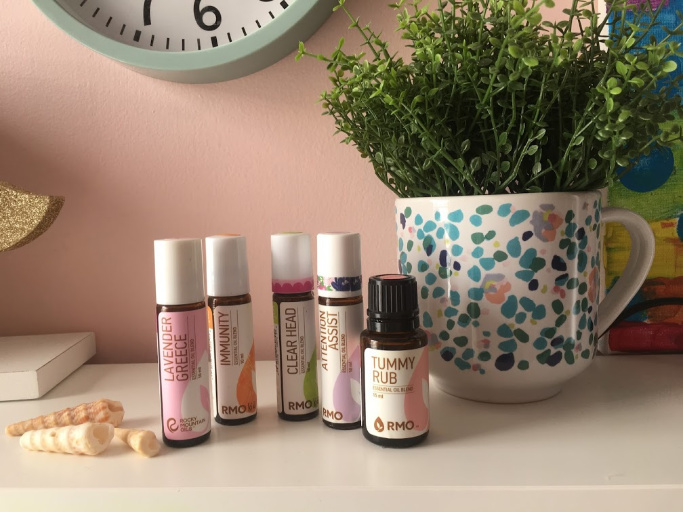 Essential oils are a fantastic tool for mindfulness with children due to their ability to get kids centered in the here and now because of the way the fragrances engage their sense of smell. Our olfactory processing is connected to the area in our brain that’s responsible for processing emotion, which is why people feel a difference in mood after inhaling inviting scents such as lavender or lemon. Not only do essential oils help ground your child in the present moment by engaging their senses, but they also promote deep, therapeutic breathing which is hands down the most powerful way to calm and regulate your child’s brain and body. These are my favorite oils for kids. For kids ages 3-12 Stop, Breathe and Think Kids is an amazing way to get started with guided meditations and is how we got started with mindfulness in our family. The free app promotes raising an emotionally intelligent child by prompting them to reflect on and choose their current emotions, and then choose from a large menu of short videos (2-8 minutes) that will guide your child through research-based mindfulness practices such as a body scan, gratitude practice or loving-kindness meditation. 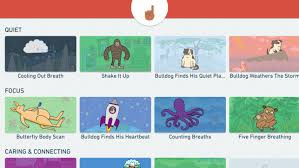 These cute and visually engaging videos are the real deal, and it’s evident it was created in collaboration with Susan Kaiser Greenland who is an internationally recognized leader in teaching mindfulness and meditation to children, teens, and families. If you want to go screen free or have tweens or teens, the Insight Timer app is a great resource for free guided audio meditations and relaxation sounds and stories for bedtime. It’s a bit more complicated to navigate but its monstrous collection of free mindfulness practices makes it well worth the effort of digging around. Our older daughters love the kids sleep meditations in the form of stories for settling their minds at bedtime. You can select the category of meditation (relax, anxiety, sleep ect) as well as the length. Yoga is great for mindfulness practice because it helps your child focus on their body and physical sensations, shifting them out of their emotion brain/sympathetic nervous system (which underlies our bodies stress response aka ‘fight or flight’). 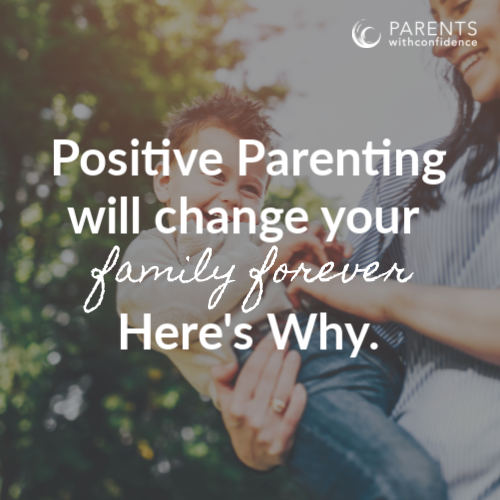 It has double the grounding effect because of its focus on good quality abdominal breathing, encouraging your child to shift out of the fast shallow breathing patterns that many of us get stuck in (and lead to further physical stress). 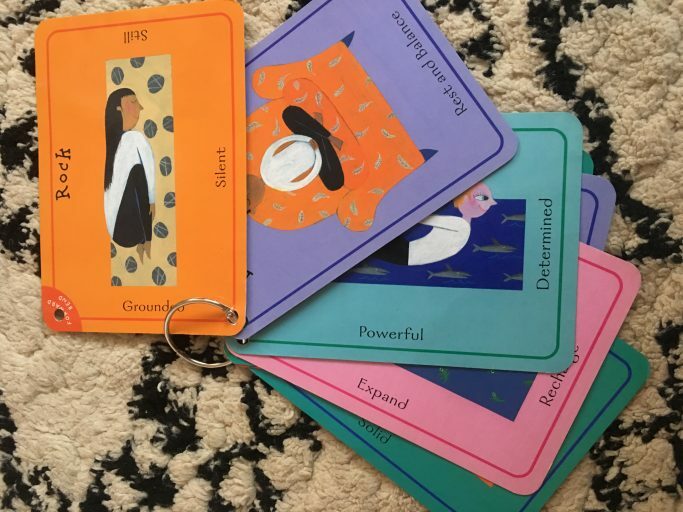 These Yoga Pretzels cards are a great tool for starting a yoga practice with your child. We also love the Cosmic Kids Yoga Videos on YouTube. 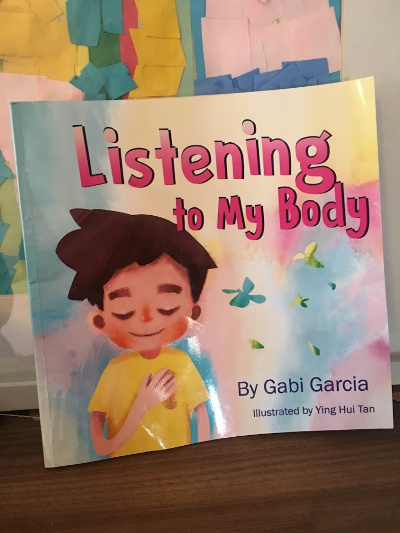 The children’s book Listening to my Body by Gabi Garcia does a fantastic job helping kids better understand the mind-body connection by explaining the interrelationship between the physical sensations in their bodies and their emotions. It teaches a critical component of helping kids with emotional regulation by explaining in a child-friendly way, how our body sensations give us information about how we’re feeling and how we can use this to practice greater emotional control. 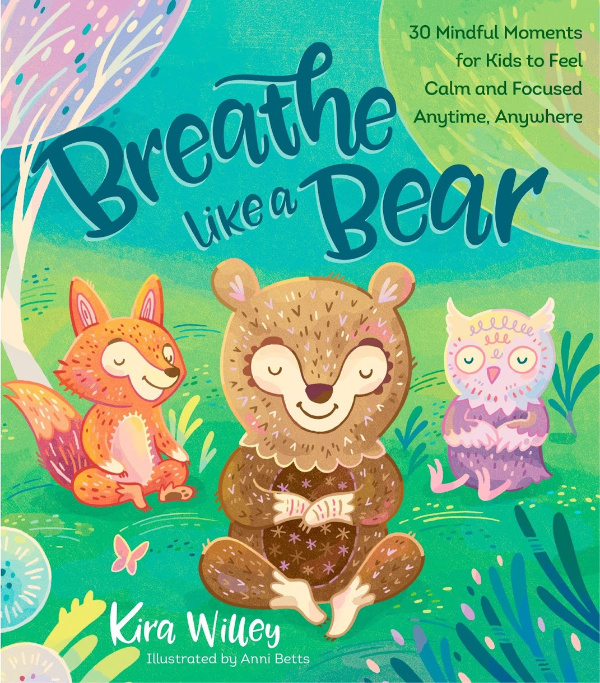 Breathe Like a Bear rings true of its description as “a beautifully illustrated collection of mindfulness exercises designed to teach kids techniques for managing their bodies, breath, and emotions.” This is a great book for introducing mindfulness to the littlest nuggets. Kids come into the world amazingly mindful, which is exactly the way we’re all meant to be. In the busy world, we live in today, it’s easy for children to get swept up in the fast-paced stressed out culture and move farther away from practicing so many of the qualities they’ll need to thrive in adulthood. 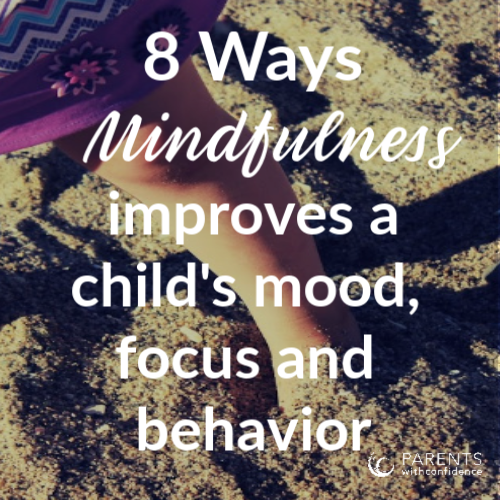 Actively engaging in mindfulness with children is an amazingly powerful way to support your child’s focus, self-control and emotional regulation as well as their overall emotional health now and in adulthood.